Complete the Exodus Crash Nightfall, including all challenges, in Destiny 2. This guide will explain how to beat the Exodus Crash Nightfall for October 17, 2017 (Week 7) in Destiny 2. This Nightfall configuration is one of the weekly activities that can award Powerful Gear for completion, and is considered easy as far as the weekly Nightfall goes. Still, you’d be wise to enter this activity with a full fireteam of three, or to use the Guided Games feature if you’re one or two Guardians short. As far as modifiers go, this week takes it easy on the Guardians of Destiny 2. Neither of the two modifiers is overly difficult, and one is quite helpful. Timewarp - Rings: Vex time gates have appeared in the area. Pass through them to discharge temporal energy and extend the mission timer. If your team is interested in completing the challenges this week, it wouldn’t be a bad time to take a crack at them. Faster Than Lightning: As a fireteam, defeat 9 Shanks with melee attacks before defeating Thaviks. Because of the Prism modifier, make sure that you’re fireteam has a diverse set of Super Abilities in terms of the elemental damage represented. Ideally, you’d want to spread it out across all three damage types; Arc, Solar and Void. It would also be wise to focus your Super Abilities on outputting damage, as this will allow you to melt the boss at the end in case you’re low on time. With the Timewarp modifier, you’ll periodically see Vex gates pop up that you need to pass through. Each one you snag will give you an additional 30 seconds on the clock. It’s not unheard of to have 19 minutes remaining after you complete the Defeat the Fallen objective at the end of the first section. This would be just after you pass through all the Arc Pulses in the first section. 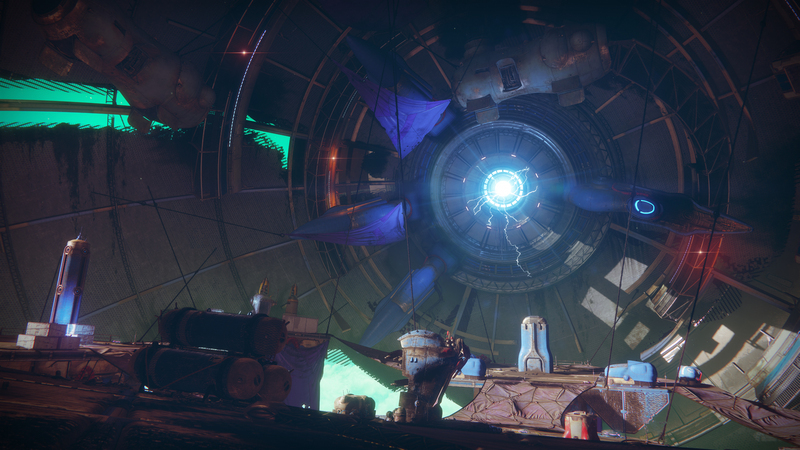 Guardians will get another shot at extending the mission timer via the Timewarp modifier in the very dark room just before the final boss fight against Thaviks, the Depraved. Your objective in this room will be to Explore the Exodus Black’s Aft, although that just means you need to climb up and find your way out. Just be sure to snag as many of the Vex gates as you can. The final boss fight can be a bit of a pain, complicated mostly by the Overcharge Shank enemy type that will provide the Shock effect if you are standing to close to them. This effect will make it difficult to move and cause you damage over time, so be sure your fireteam is clearing out each Overcharge Shank that they come across. As a final tip, be sure your Energy and Power weapons are not the same element. This will allow you to swap between them each time the Polarization changes, outputting maximum DPS. Have a particularly aware member of your fireteam call out each time the Polarization changes, although it does show on the left side of your screen at all times. Your fireteam should be able to power through the Exodus Crash Nightfall for October 17, 2017 (Week 7) without too much trouble. Don’t allow yourself to get flustered by the timer, and pay attention to the Prism and Timewarp modifiers. Thaviks, the Depraved will be dead in not time, and you can go back to hating the loot system in Destiny 2. With the Exodus Crash Nightfall complete, visit our Destiny 2 complete strategy guide to arm yourself with exotics and information for the battles to come.